In Portland, pets are the new children. Not only does Oregon rank fourth in pet ownership, but the new generation flocking to Portland is increasingly choosing to pour its parental energies into cats and dogs. More than twice as many people in Oregon—63 percent—have pets as have kids in the house. Portlanders also pamper their pets with unusual fervor. Sure, we've got more dog parks per capita than any city in the country, and organizations ranging from pet websites to Animal Planet rate us one of the best pet cities in the country. But we've also got two full-service dog hotels, 19 pet acupuncturists, and a pet psychic with clients in Singapore and Finland. We're home to the world's first professor dedicated to animal law and an animal trainer who orchestrated the longest single-take dog ballet in music-video history. For this year's Pet Issue, we decided to showcase our singular devotion to pets with a citywide pageant. Owners across the city sent in more than 500 photo submissions, from pigs in jean jackets to ducks in Home Depot aprons—and 4,000 of you voted for your favorites. 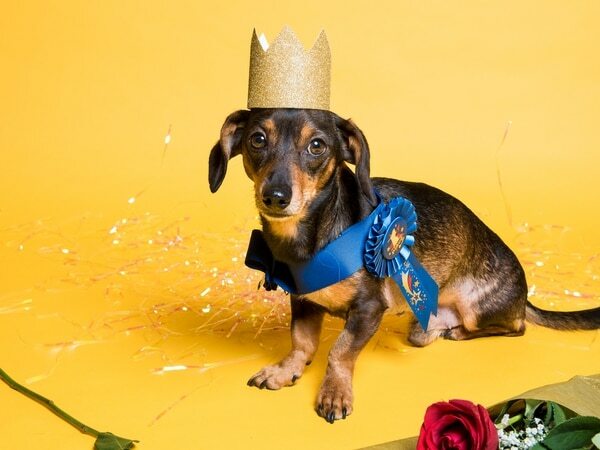 Well, meet Hank, the Ultimate Supreme Pet champion of our 2018 Portland's Pet Pageant. 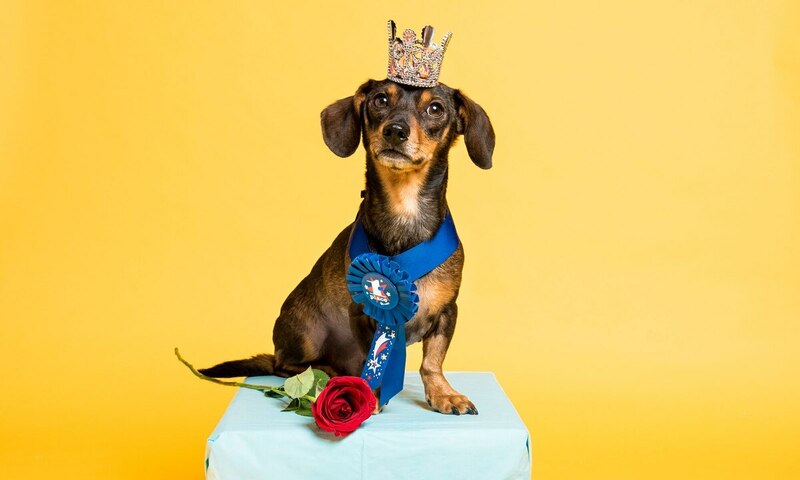 Along with being wildly photogenic, the good-natured 6-year-old dachshund pictured at right is also a bit of a philanthropist: He's the official spokesdog of Oregon Dachshund Rescue, dressing up each Friday in tuxes to help other doxies get adopted. "He knows when that camera is coming out," says owner Anne Marple. "He knows he's gonna get a treat, so he's happy to put on the outfit." This issue also offers advice on how to pamper your own pet, whether you're looking for a robot to instantly clean your Siamese's litter box or want to soothe your anxious Boston terrier with a low dose of cannabis. For those more bent on necessity than luxury, there's a guide to low-cost pet resources. Portland is Home to the World's First Animal Law Professor. We Asked Her About the Biggest Legal Issues With Pets.